This is my story of academic success and food. 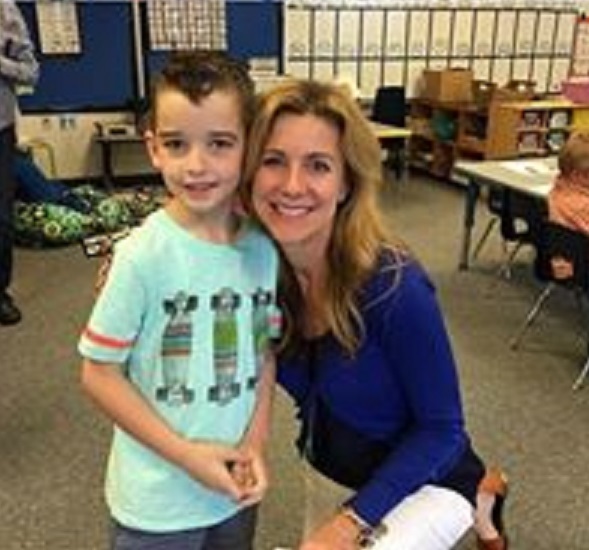 Jacob was 5 years old – he came to my classroom in early October because he had begun in another school district, his family had been evicted, causing a move to our town. It was well after the start of the school year. Routines were well-established and the rest of the class had already settled in. I soon discovered the obstacles that Jacob faced. He came in like the Tasmanian devil and obliterated any sense of calm and normalcy we had established in the classroom. He was low academically, couldn’t even write or recognize his name. He was VERY challenging. He couldn’t sit still or follow directions; he couldn’t focus or concentrate on anything for more than a minute or two. Jacob was getting “sent out” of gym, music, art, Spanish, and yes, even my classroom for disruption… in short, he was not functioning in ANY area of the school. Jacob continued to struggle in all school settings. I tried all the tools in my toolbox to correct and guide his behavior and help him settle in. He never appeared to care much about anything. He was just constant motion; a whirling dervish… full of energy, sprinkled in with occasional bouts of anger and frustration. He was disrupting our class daily- heck, hourly even, and he was experiencing very little academic success. I tried everything. Except one thing. Except really talking to him. Out of desperation, I moved him away from the other kids and to my table, where I work. One Friday afternoon, as we were working together at our table, he said, “Do we have school tomorrow?” I said, “No, buddy, tomorrow and Sunday are stay home days with our families. We will have school again on Monday.” To my shock, he began to cry. Sob. I had never seen him sad. Ever. The sobbing didn’t compute. After a lot of comforting and prodding, he finally told me what was wrong. “I hate days we don’t have school. I wish school was every day!” I asked him … “Why do you wish school was every day? Do you miss your friends?”) “No! I hate when it’s not a school day because I don’t get food.” Stunned silence. Oh, buddy. Now my turn for tears. It made perfect sense. Monday through Friday he got breakfast and lunch at school… who knew about dinner? Probably hit and miss. But on the weekends… he was never sure he would have a meal. Heart-breaking. This child was dealing with food insecurity. Right under my nose. How COULD Jacob be expected to sit still, focus, and learn, when his basic biological need for food was not always being met? He had WAY bigger worries than learning his ABC’s and how to sit still! He had to worry about hunger. HUNGER?!? At this point, I knew Jacob really needed help. I knew of this organization called Weekend Survival Kits. I spoke with Jillaine Eaton, the COO and Program Coordinator for Weekend Survival Kits and got Jacob on the list. The difference these food kits made in Jacob was amazing. He no longer dreaded the weekends. After a time, he began to feel much more secure that his needs would be met. He settled into our classroom routine. He continued to be high energy and very challenging… but he became more focused and willing to learn… eager, even. He learned every one of his letters and sounds. He learned to read and write! He still hadn’t quite figured out the sit still part, but he made HUGE improvements in all areas, and almost caught up with his peers. The Weekend Survival Kits helped take that basic need (for food) out of the equation… and allowed him to feel more safe and secure in our classroom…ready to learn. The Weekend Survival Kits program supports academic success by providing kids like Jacob their basic biological need of food. This helps level the playing field for kids like Jacob; helps them keep in step with their peers. Toward the end of the year, if Jacob saw Jillaine come in, he would run to her to give her a hug. She was like a fairy godmother to him. One day she came in the classroom with an armful of donated bread from a local bakery. Jacob ran to her and told her, “Today is my mom’s birthday! Now I have a present for her!” He was so thrilled and thankful. I can’t imagine the year Jacob would have had without the assistance from the Weekend Survival Kits program. I am eternally grateful for their generous help. I am glad to know that Weekend Survival Kits is there for the elementary school kids in this area , supporting academic success wherever they sign-up children like Jacob to their program. You can support children just like Jacob, by donating to Weekend Survival Kits. Here is the link to DONATE. Editor’s Note: The photo is of Heather and one of our family members who has long since graduated from Kindergarten. The story is true but to maintain confidentiality “Jacob” is a pseudonym and we don’t share participating children’s photos without approval.